I am currently in the process of photographing so called ‘Marian Statues’ in Dublin. 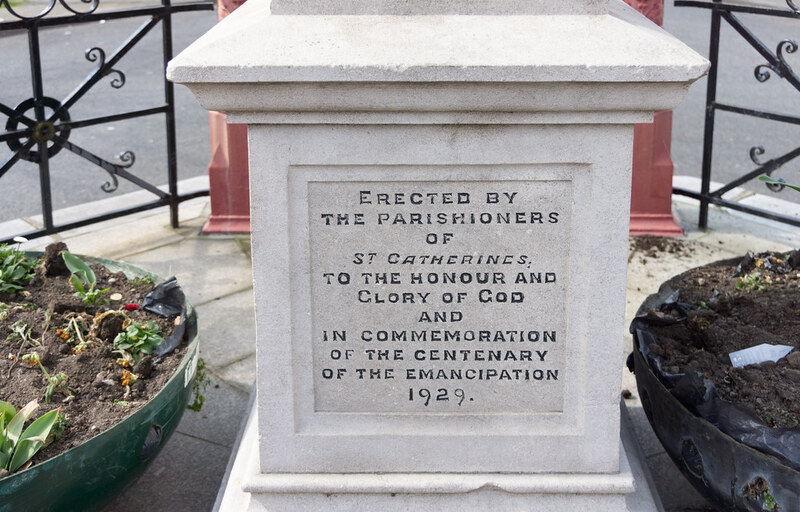 My information was that there were at least 28 such statues in Dublin but I am now discovering that the story is a little bit more complicated than expected especially as there are often conflicting histories associated with every structure. 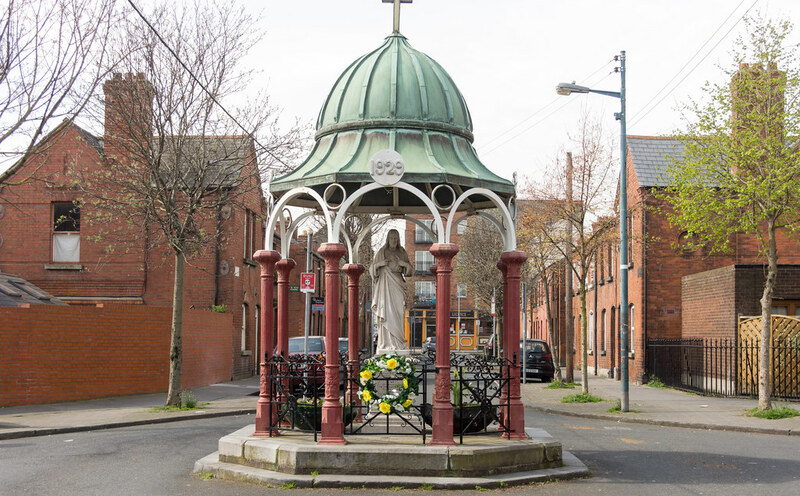 Based on information received from various sources I had believed that there was a Marian statue on Reginald Street. When I first saw it a few years ago it reminded of the Victorian Memorial Fountains in Dun Laoghaire, Belfast and Limerick but as I had not examined close up I assumed that it was indeed a Marian Statue and of course I was wrong. The houses in this part of the Coombe were built by Dublin Artisan Dwellings Company which is why they [and similar buildings in Dublin] are now known as ‘Artisan Dwellings’ or ‘Artisan Cottages’. The original structure was a public fountain, funded by Guinness. 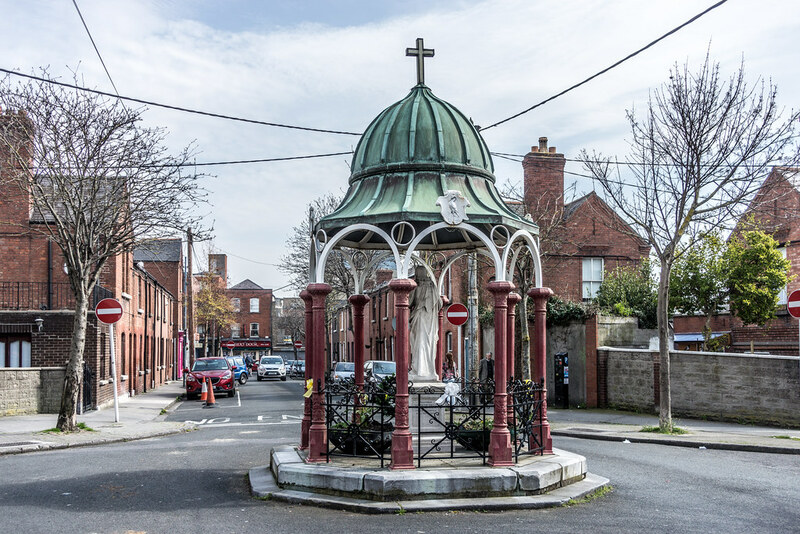 It may have been a memorial of Queen Victoria’s visit to Ireland in 1897 but it also had the very useful function of water fountain at a time when water was often contaminated and householders filled buckets from unsafe wells. According to some accounts the current structure is not original as it was replaced after the fountain had been demolished by a lorry. I do not know if the lorry accident and the War Of Independence incident were in fact the same event and to complicate the story even more some local historians maintain that pieces were shot off by British ‘Black And Tans’. NOTE: The Roman Catholic Relief Act 1829, passed by Parliament in 1829, was the culmination of the process of Catholic Emancipation throughout Britain. In Ireland it repealed the Test Act 1673 and the remaining Penal Laws which had been in force since the passing of the Disenfranchising Act of the Irish Parliament of 1728. Its passage followed a vigorous campaign on the issue by Irish lawyer Daniel O'Connell. O'Connell had firm support from the Prime Minister, the Duke of Wellington, as well as from the Whigs and liberal Tories.